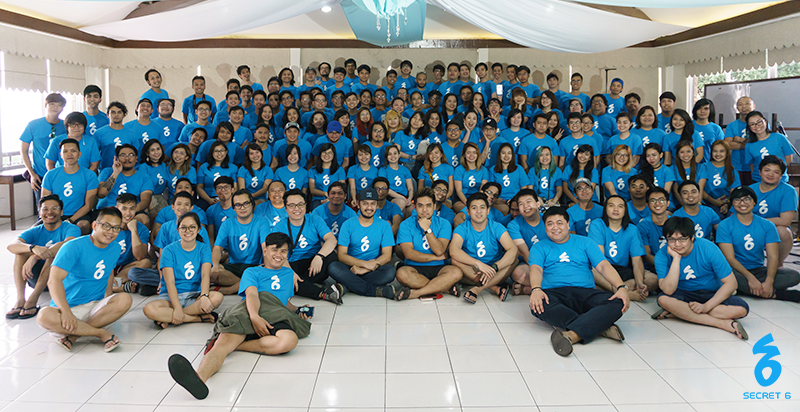 Last July 20-21, 2018, Secret 6 had its staycation-themed company outing at Cristina Villas Resort in Antipolo City. The first half of the year has been very busy for us. With conventions and school visits, working on some exciting projects of highly anticipated releases, and also facilitating the growth of the different teams, a time for relaxation was bound to come into the conversation. Luckily, we knew just how to get that much needed break. A basketball game as intense as the rain! Unlike previous outings wherein a set programme was followed for activities, this year’s outing let the employees suggest and choose activities they wanted to do throughout the weekend. Thanks to the diverse range of personalities in the Secret 6 family, an impressive list of activities was set for employees to choose from. Though it was rainy, that didn’t stop us from enjoying our weekend. Employees who signed up for basketball and volleyball activities still played their best during the outing while having fun splashing puddles throughout the game. Others stayed cozy and dry in their hotel rooms playing card games or watching movies. We also had our own potion masters who gladly shared their signature drink mixes with fellow employees that capped off the rest of the night. From jamming and karaoke night to anime marathons and Dungeons and Dragons sessions, there was bound to be an activity fit for anyone’s taste. Employees from different departments got together to do the things they loved most. As they say, things are best enjoyed with company. Fun, relaxing, and peaceful – these are just some of the words to describe this year’s outing. The freedom to choose which activity to join in was definitely loved by the employees and we wouldn’t mind doing this again in the future. What kind of theme will we have in the next outing. We’re all looking forward to it. See you all until then!